Fans of Kate Morton's The Forgotten Garden, Catherine Bailey's The Secret Rooms, and TV's Downton Abbey will love this New York Times bestselling sweeping historical novel of love and loss. It's the spring of 1938 and no longer safe to be a Jew in Vienna. Nineteen-year-old Elise Landau is forced to leave her glittering life of parties and champagne to become a parlor maid in England. She arrives at Tyneford, the great house on the bay, where servants polish silver and serve drinks on the lawn. But war is coming, and the world is changing. When the master of Tyneford's young son, Kit, returns home, he and Elise strike up an unlikely friendship that will transform Tyneford - and Elise - forever. Natasha Solomons is a screenwriter and the New York Times bestselling author of The Gallery of Vanished Husbands, The House at Tyneford, and Mr. Rosenblum Dreams in English. 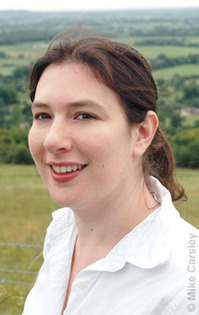 She lives in Dorset England, with her husband, the writer David Solomons, and their two young children. This is her fourth novel.